Each season offers all kinds of amusements, attractions and adventures for families going to Finland. Whatever it`s skiing, snowmobiling, fishing, amusement fun or a visit to the famous mommies sights, it is only up to you to decide. Finland is world famous for the many lakes, which offers all kinds of activities such as sightseeing tours or canoe and kayak trips in summer. 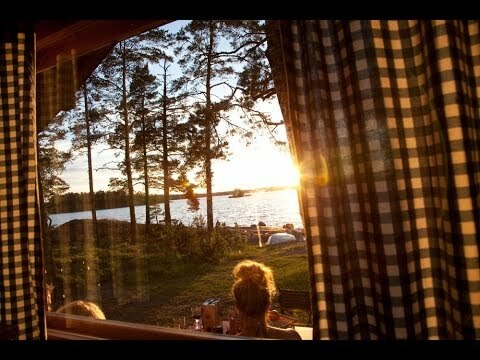 Sauna culture comes from Finland, and throughout the country, you will find family-friendly Sauna and Spa Hotels, with the most amazing facilities for both children and adults. Related to the country's proud nature, you have the possibility to stay in a self-catering apartment, cosy countryside cottages or a camping site. In Lapland, you can even stay a night under the Northern Lights in a heated glass igloo. If you are a big skiing fan, Finland offers the most magnificent ski resorts in Lapland in the Winter. A weekend west-to-east car trip across Finland boasts plenty of destinations, which in their own way will satisfy the Whole family. Recommended in the summer. In and around Finland`s bigger cities like Helsinki or Turku, you will find outdoor parks, playgrounds and zoos, but also museums to keep the kids busy and interested. Helsinki Zoo, known as "Korkeasaari" among Finns, is one of the oldest zoos in the world. Moored by the entrance to Moomin World is pirate ship Rosita, which takes adventurers to the island of Väski, located 1.5km from the mainland. Linnanmäki has entertained families since 1950. The amusement park has an enormous selection of fun rides, from ultra-scary to more easy-going. Visit one of the new exciting family attractions in Finland. A perfect way to have some fun and join the locals and the way of living in Helsinki in the Winter. Helsinki offers a brand new exciting wellness attraction named Allas Sea Pool, which creates new experiences and exciting moments for visitors to Helsinki. Spoil yourself in one of the new absolutely top highlights in Helsinki. Kotiharju Sauna, built in 1928, has maintained the original architecture throughout the decades. Do you go to Ylläs in Lapland in northern Finland a sauna experience of a lifetime is waiting for you here. Get discounts on your sightseeings around in Helsinki. Explore one of the most exciting festivals in Finland. In Helsinki they got a new tradition called "Restaurant Day".